Size/shape: 6mm (thick) x 9mm (wide) with facets around the outer edge. 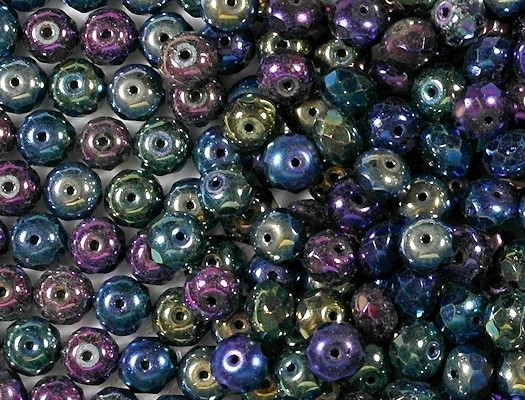 Colors/description: A Mixture of these multicolored dark "iris" metallic colors: dark blue iris, black iris, olive green iris, purple iris. Defects: Where should I start? 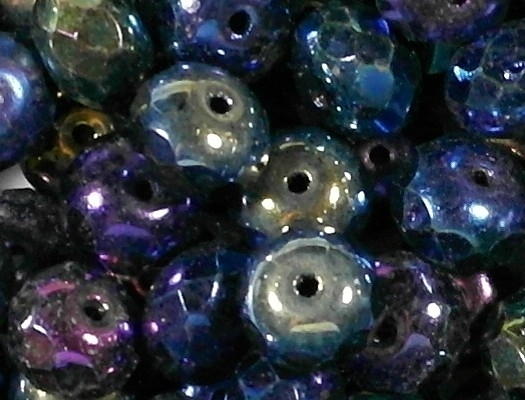 Many of the blue beads have pits along the edges of the facets or other surface defects, and many of the purple beads are missing the coating on one or more facets. 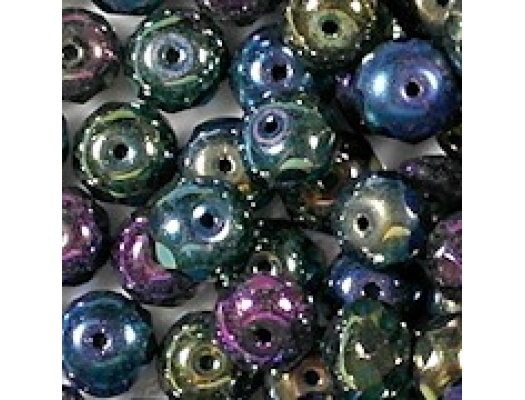 The black and green beads appear to be in better shape, although even those beads will have some imperfect facets (as is the case with all fire-polished beads). The price of $3.50 for 50 beads represents a substantial price reduction. Comments: First, please note that the beads were dusty when I photographed them, and the dust can be seen in the two extreme close-up pictures that I posted. 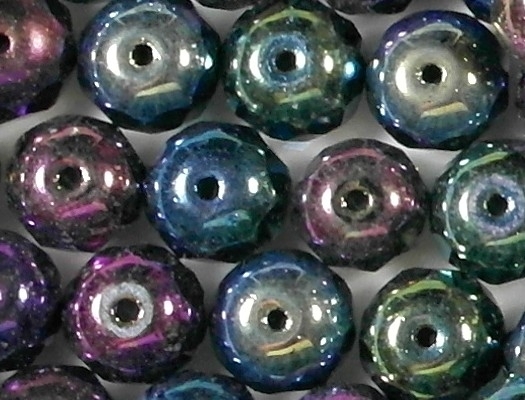 Unfortunately, most beads are sitting on their holes, so you can't see the facets. When strung, it will be the faceted side that will show. I have had these beads for a long time and never posted them because they have defects. 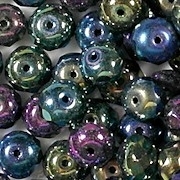 You should only buy them if you aren't picky about defects, or if you are using the beads for informal jewelry. If the beads had been perfect, they would be very elegant.